LOS ANGELES: Popular children's animated series "Rugrats" will soon make a comeback in the form of a TV series and a movie. According to Variety, the revival, featuring characters from the 1990s' show, has got a 26-episode order from Nickelodeon. Paramount Players will develop the live-action film with CGI characters. "Rugrats is hands-down one of the most celebrated cartoons in TV history, and we are thrilled for a whole new audience to meet these iconic characters in brand-new adventures. "What was true in 1991 when the original show premiered is still true today: kids are fascinated with the world of babies. We can't wait for today's kids to meet Tommy, Chuckie and pals," said Sarah Levy, Chief Operating Officer of Viacom Media Networks and interim president of Nickelodeon. "Now feels like the ideal time to reintroduce this iconic cast of characters to a whole new generation of young fans. 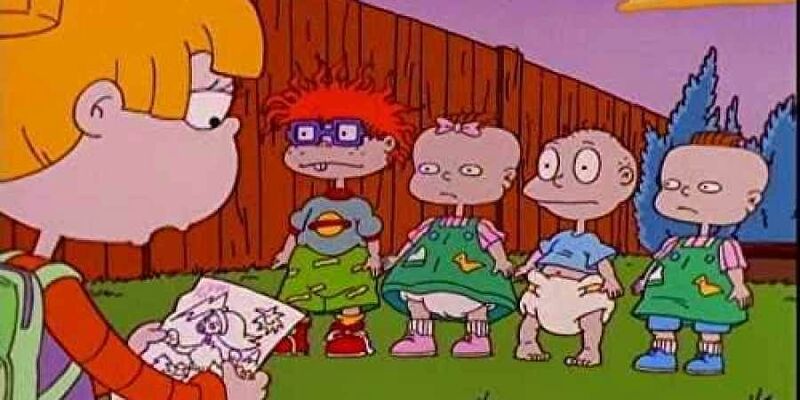 Kids who grew up with Tommy Pickles and the 'Rugrats' crew will now be able to share that experience with their own children," said Brian Robbins, President of Paramount Players. Earlier, "Blue's Clues" had joined the list of latest classic original series brought back for today's generation by Nickelodeon.